The twelfth edition of the Indian Premier League (IPL) is round the corner, and everyday a piece of fresh update comes in from any of the eight franchises. This time it was from the camp of Mumbai Indians where Zaheer Khan picked up Jasprit Bumrah as the asset of their side. Mumbai Indians' Director of Operations and former player Zaheer said in a tweet which came from the official Twitter handle of Mumbai Indians: "Bumrah is a world-class bowler. He's an asset to have." This statement can be clearly justified after seeing his past performance for their franchise, as he has 63 wickets in 61 matches. 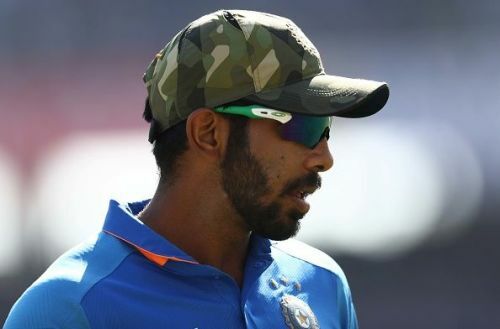 Bumrah is unarguably one of the best bowlers at the moment in international cricket as well, where he has 49 wickets in 10 Test matches, 85 wickets in 49 One Day International matches and 51 wickets in 42 Twenty20 Internationals and has led the Indian bowling line up from the front in almost every series India played in. Zaheer Khan has played for the franchise of Mumbai Indians in the year 2009 and 2010 before which he played for the Royal Challengers Bangalore. He again moved to Mumbai in the year 2014 and is now again back with them but with a different role, as this time he will dawn the role of Director of Operations. The first match of the tournament will take place between Chennai Super Kings and Royal Challengers Bangalore on March 23 to kickstart the tournament while Mumbai Indians will begin their campaign on the subsequent day against the Delhi Capitals at the Wankhede Stadium, Mumbai, where Jasprit Bumrah is expected to perform well.